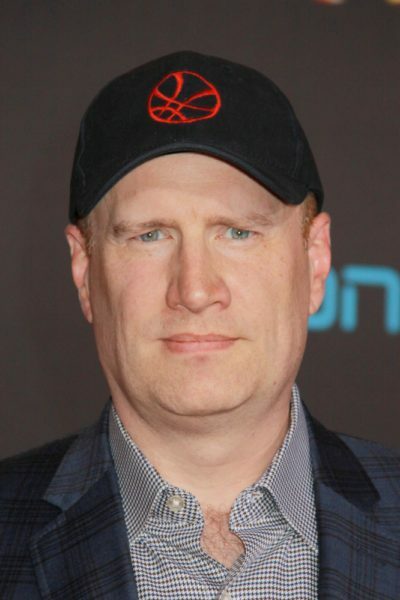 Kevin Feige is an American film producer. He is the president of Marvel Studios, and, as such, is in charge of the Marvel Cinematic Universe. Kevin’s paternal grandfather was Arthur Edward Feige (the son of Joseph Feige and Therese/Theresa Heckert). Arthur was born in Michigan, to ethnic German parents, from Poland, in Volhynia. Joseph was the son of Bernard Feige and Anna Wagner. Theresa was the daughter of Gottfried/Gottfred Heckert and Anna Strunk. Some of Kevin’s family was from Kassel, Hesse, Germany. Kevin’s paternal grandmother was Pauline Ash (the daughter of Charles E. Ash and Wilda E. Hill). Pauline was born in Illinois. Charles was the son of Edward John Ash and Emma Ernestine Stein, who was born in Illinois, to German parents. Wilda was the daughter of Solomon Edward Hill and Cordelia/Dilla/Della. Kevin’s maternal grandfather was Robert Earl Short (the son of Earl Andrew Short and Bessie Matilda Johnson). Robert was born in Pennsylvania, and developed soap operas. He was an executive of Procter & Gamble Productions. Kevin’s great-grandfather Earl was the son of Joseph D. Short and Minnie. Kevin’s maternal grandmother is Madeleine Lois King (the daughter of Henry Hall King and Ethel Maria Lois Heald). Madeleine was born in New York. Henry was the son of Henry Hall King and Mary Anna Wedge. Ethel was the daughter of Timothy Sibley Heald and Ada Maria Davis.